Some candy and cookie combinations are great. Others are questionable. 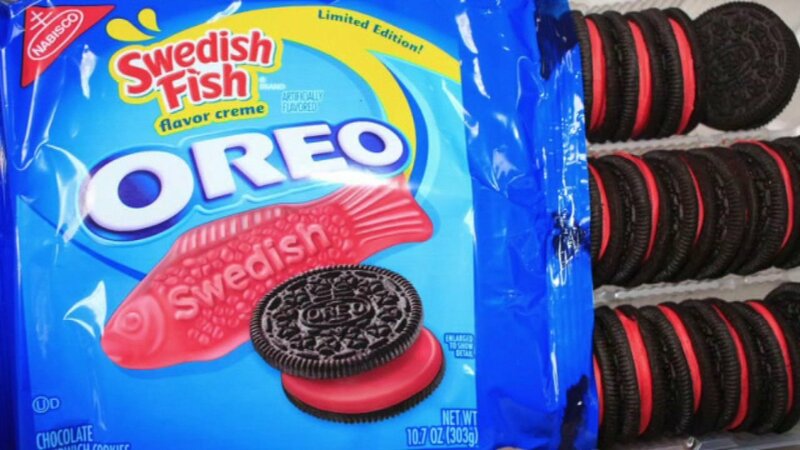 Oreo is introducing Swedish Fish-flavored Oreos. This unique combination features a cherry candy-flavored red cream that presumably tastes like Swedish Fish, minus the chewiness of the candy. Past Oreo flavors have included birthday cake, cookie dough, mint, marshmallow crispy creme and chocolate berry creme. The limited edition cookie is only available at Kroger grocery stores.